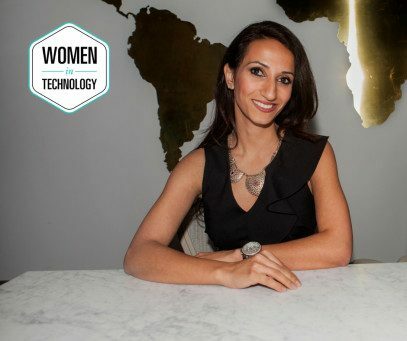 Hend Kareem, development engineer at Sigma Technology, started studying computer engineering out of pure curiosity and zest to learn new things. Eventually, engineering became her hobby and her career. Now Hend shares how it feels to be a consultant, and what she has learned from following her dreams. What do you value the most in your work? Being a consultant grants me the blessing of having two work families, one at Sigma and the other at our client. Plus, the reward for doing this job is an additional comfort for other people when using buses on their trips. Further, I really value having a greater sense of control by determining how to tackle the challenges I face every day at work. What excites me most is being able to learn new things all the time. When I was a kid, I was so obsessed with learning something new. I was even afraid that life is not long enough to learn all the things I want to know. So, getting to know something new all the time was one of my oldest dreams :). I studied computer engineering in Iraq. I remember that I was 17 years old when I applied for engineering school. I did not even have a PC when I all of a sudden decided that I wanted to understand how a computer works. What actually happens when someone clicks a mouse or touches a keyboard? What occurs inside of it? How can it be so mysterious and amazing? That is why I have chosen engineering and computer engineering particularly. What would you advise the young women who are just starting their career? The word engineer derived from the Latin ingenium, meaning cleverness, so if you love to be clever, then choose to be an engineer and do not hesitate! Finally, find a thing to be very good at and go all the way for it until you achieve your dreams.